At present fundamental changes can be observed in the distribution networks. Incandescent lamps are replaced by modern lamps with electronic ballast (LED, CFL), the number of inverter-based distributed generation (e.g. PV-inverters) increases continuously and electrical vehicles with electronic rectifier circuits are introduced on large scale. All these equipment is a potential source of voltage and current harmonic distortion. Hence classical harmonics below 2 kHz are still an important issue, the number of equipment with significan t emission at frequencies between 2 kHz and 150 kHz (supraharmonics) growths very fast. The renewable electricity and modern electronic equipment are commercially available today, and its large scale integration into the distribution networks provides the grid integration opportunities as well as challenges to grid operators, manufacturers, costumers, researchers and regulators. The tutorial provides information about recent findings in the field of harmonic emission below 2 kHz and between 2 kHz and 150 kHz. In particular the typical emission of modern electronic equipment (photovoltaic inverters, modern lighting equipment, and electrical vehicle chargers), aspects of measurement accuracy and harmonic modelling issues are presented. The described phenomena are illustrated by the results of grid and laboratory measurements as well as case studies. Furthermore, a technique to study harmonic propagation in distribution networks with interconnected renewable energy is presented. The tutorial provides initial answers to important questions about the harmonics effects of the integration of high penetrations of renewable electricity technologies and modern electronic equipment into the grid. The tutorial provides a holistic view on harmonic aspects in distribution networks. The participants (network distributors, equipment manufacturers, costumers, researchers and regulators) can improve their knowledge and understanding of harmonic phenomena as well as the impact of recent technologies on the distortion in future distribution grids. The tutorial will have duration of 4 hours. Grid operators, manufacturers, costumers, researchers, students and regulators. 15 minutes Questions and Discussion. Jan Meyer is a senior academic assistant at the Technische Universitaet Dresden, Germany and team leader of the Power Quality research group. 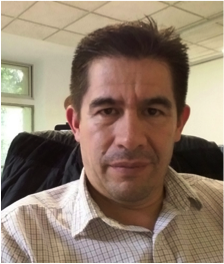 His research interests include network disturbances and their assessment, especially for harmonics below and above 2 kHz. Further aspects of his research are statistical methods to assess and rate power quality in distribution networks and all aspects of designing large measurement campaigns. He is member of several national and international EMC working groups, several CIGRE working groups, like C4.24 (Power Quality issues related to future grids) and the CIRED advisory group for Session 2 (Power Quality and EMC). Furthermore he gives regular presentations on current topics in the field of Power Quality and is organizer of several seminars in the field of network disturbances and its assessment. Manuel Madrigal is a professor at the Instituto Tecnologico de Morelia, Mexico. 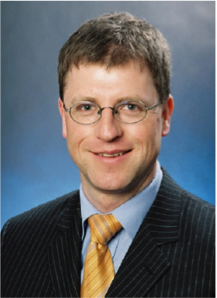 His research interests include power quality, power systems harmonic modeling and analysis, and power quality effects of wind power parks and photovoltaic systems interconnected to the grid. He is senior member of the IEEE and member level II of the National System of Researchers (S.N.I.) in Mexico. He is coauthor of the book “Power Systems Harmonics: Computer Modelling and Analysis” John Wiley & Sons, 2001. He has several journal publications in the area of harmonics modeling and analysis.